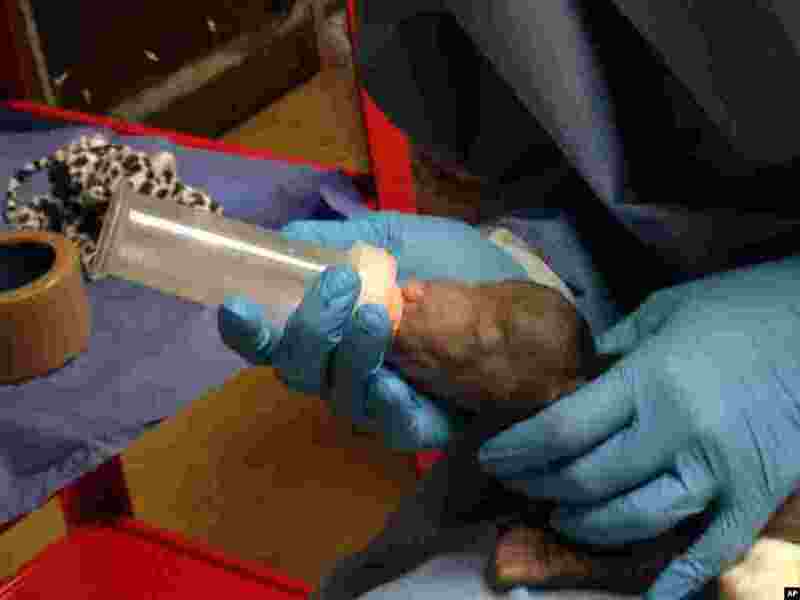 ۲ Keepers bottle-feed the saved sloth bear cub at the zoo in Washington, D.C. Animal keepers at the National Zoo have saved the cub after two others were eaten by the mother. The three cubs were born in December to a mother named Khali. 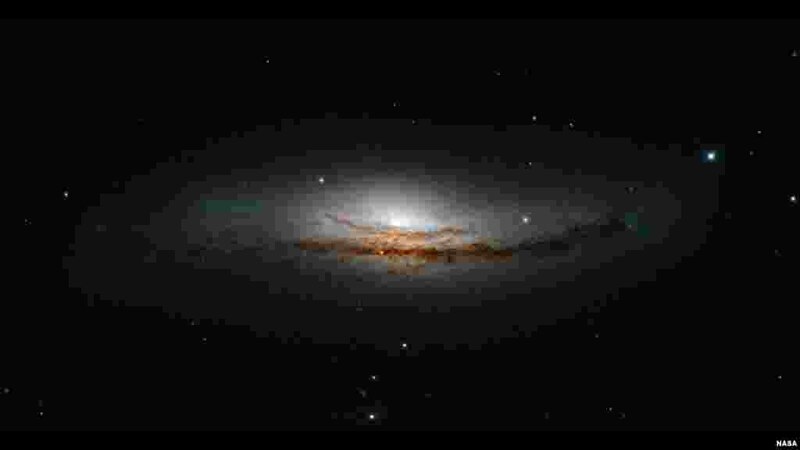 One was eaten within 20 minutes, and a second cub was eaten after seven days. The zoo says it's not uncommon for carnivores to eat their young if they're compromised somehow. 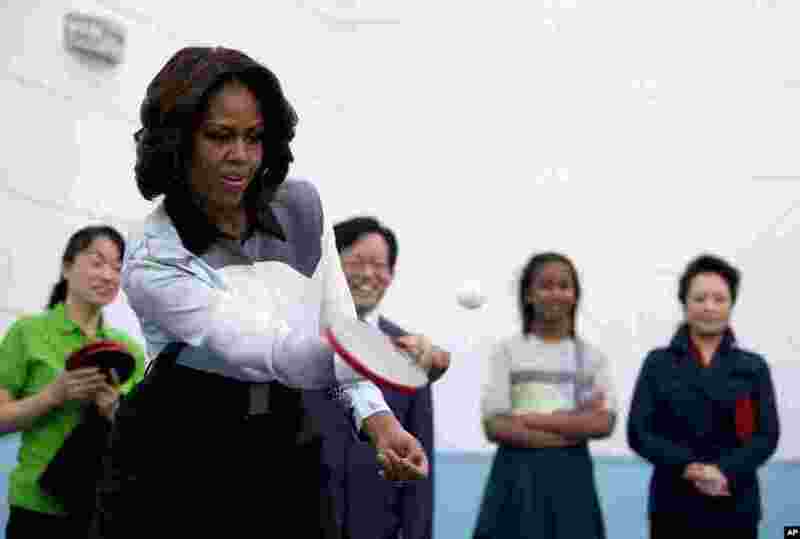 ۳ U.S. First Lady Michelle Obama plays table tennis as Peng Liyuan, wife of Chinese President Xi Jinping, right, and others watch her during their visit to the Beijing Normal School, a school that prepares students to attend colleges overseas in Beijing, China. 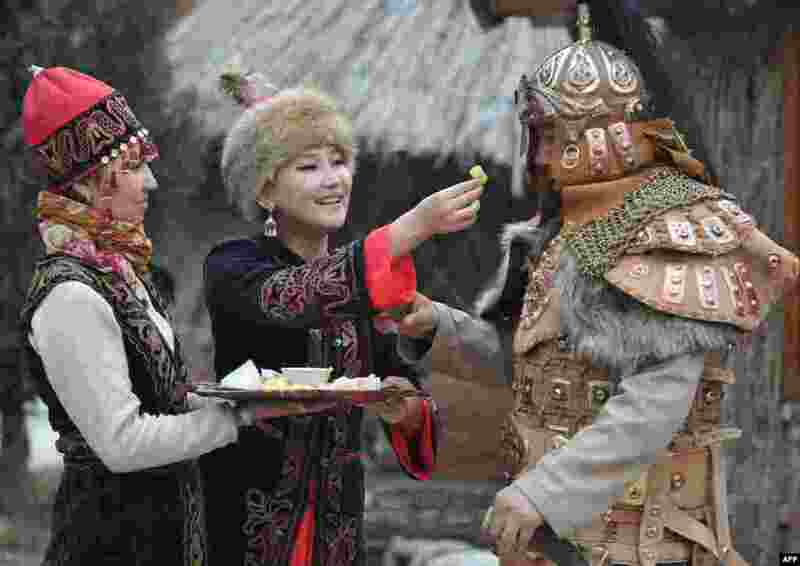 ۴ Wearing their traditional costumes Kyrgyz women and a man take part in the celebrations of Nowruz (New Year) in the outskirts of the Kyrgyzstan's capital Bishkek. Nowruz, "The New Year" in Farsi, is an ancient festival marking the first day of spring in Central Asia. 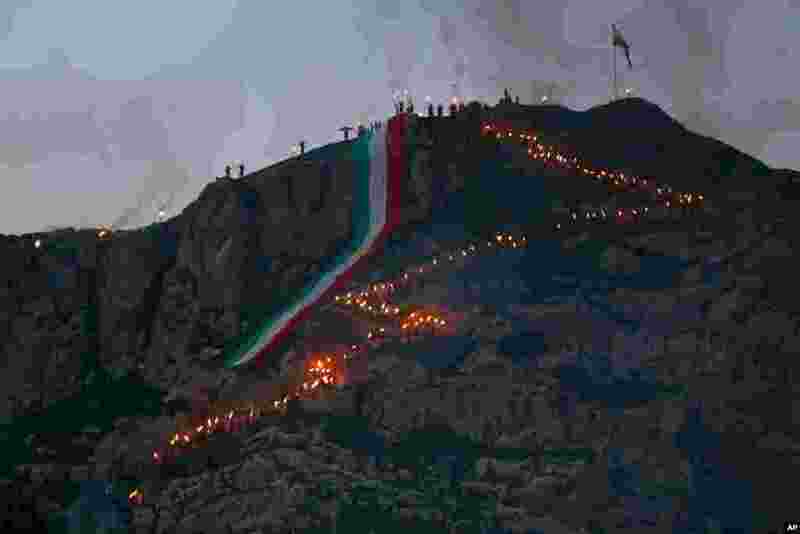 ۵ Iraqi Kurds with a giant banner in the colors of the Kurdish flag celebrate Nowruz, or the New Year, in Dahuk, 260 miles (430 kilometers) northwest of Baghdad, Iraq. 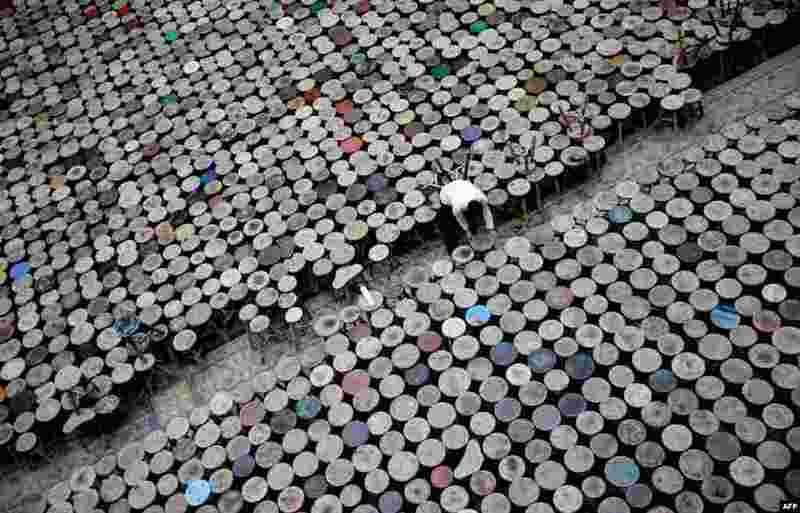 ۶ A staff member helps to set up the installation "Stools" of Chinese artist Ai Weiwei made of 6000 stools in the atrium of the Martin-Gropius-Bau exhibition hall in Berlin, Germany. 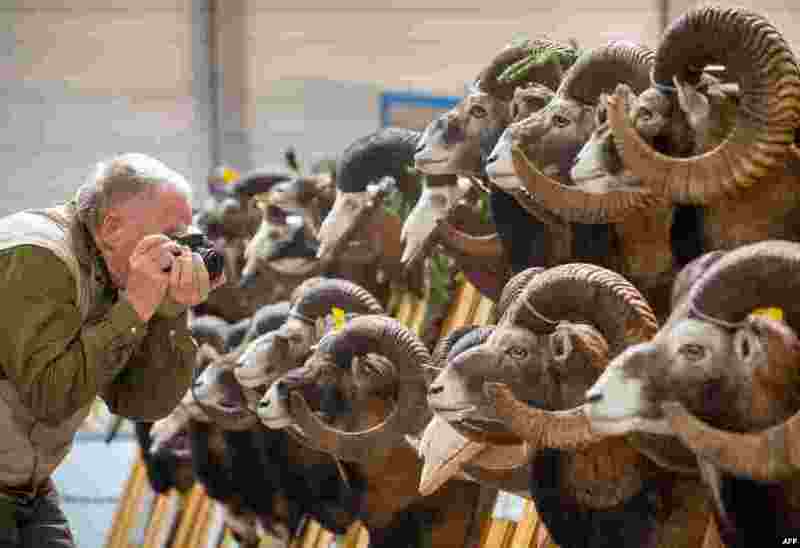 ۷ A visitor takes pictures of trophies displayed at the "Reiten-Jagen-Fischen" (riding-hunting-fishing) trade fair in Erfurt, eastern Germany. 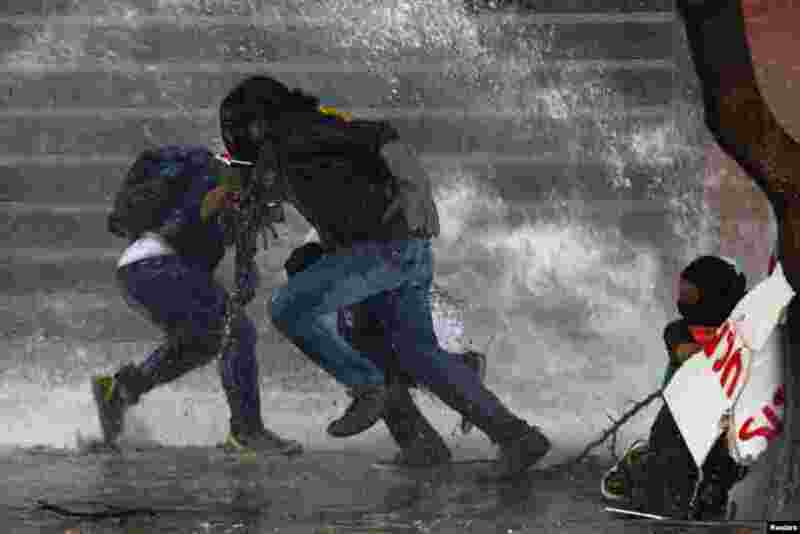 ۸ Anti-government protesters run from police water cannon in Caracas, Mar. 20, 2014. Venezuelan intelligence agents arrested one opposition mayor accused of stoking violent protests, while another was jailed for 10 months in the latest moves against rivals of President Nicolas Maduro.